Does any have a experience with any of the following tools or something similar? 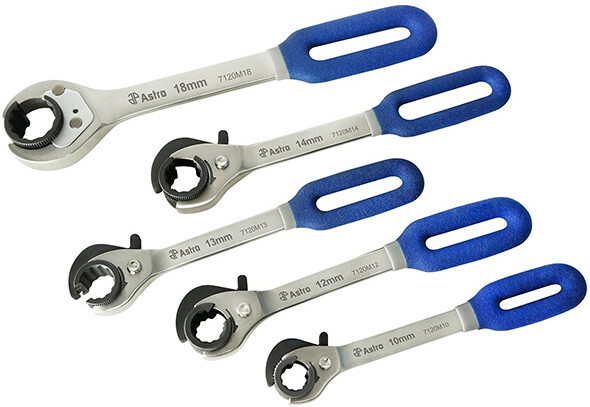 Astro Pneumatic has come out with new ratcheting flare nut wrenches that capture flare nuts during use. @fred I saw your comment on the Astro article on the main site so if you can please provide more info. 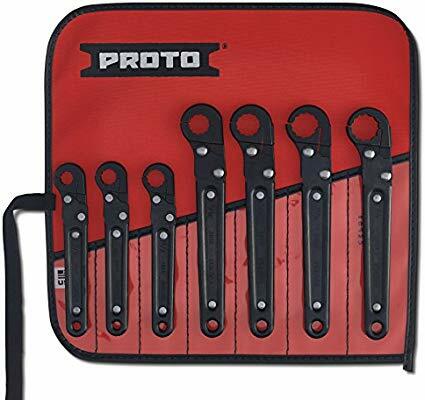 In our plumbing business - we used the Proto’s. I don’t recall that we bought them in sets. There were times when we’d be working on “old work” where demolition and replacement was not an option. 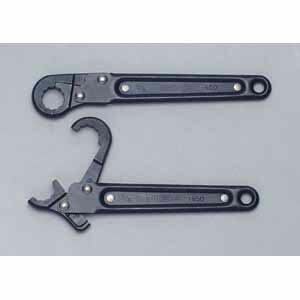 Then we might try a basin buddy wrench or a crow-ring ( we had one from Williams) - used with an extension bar and a T-handle or breaker bar. I need something that doesn’t need such a big swing. With the Astro’s and Proto’s that you show - the swing is set by the length of the wrench handle. That typically gets longer (as it should) to provide more torque as the size of the nut goes up. A flex head wrench - like those that I link to from Gearwrench - can be angled from straight on (180 degrees) to right angled (90 degrees) to the fitting. Of course the closer you get to 90 degrees the less effective torque you can apply. The use of a crowfoot, drive extension and T-handle or breaker bar was often our solution to tight quarters. The proper length extension can often help you clear obstructions - but the amount of torque you can apply is sometimes limited. There is no room for a full grab with the gearwrench for example the other ones don’t need a full swing. @fred what is the opening size in comparison with the proto? How big is the mouth? I bought the Astro the opening is a little too small.